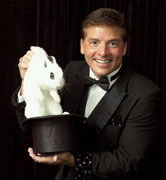 Grand Illusions & Headliner Venues"
Ted Schwank Magic & Illusions provides a wide variety of first class magical show packages guaranteed to deliver enthusiasm & great fun at your next special event or private party! See your child become the Instant Magician as he or she becomes the star of the show by making things appear, disappear, reappear, multiply, change colors and fly through the air before their very eyes. 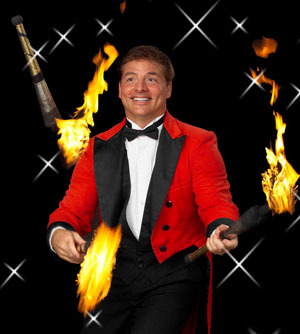 Experience the ultimate Special Event show packages as Ted Schwank explodes into action delivering a dazzling array of award winning magical entertainment. These grand illusion show packages are designed for times when you are looking for a production with the total “Wow” factor. Las Vegas quality entertainment right here in Houston. Up close and personal! Your guests will be thoroughly entertained As Ted Schwank strolls around your event performing amazing Close-up magic tricks for all to enjoy! Experience the difference as Ted Schwank Magic & Illusions provides a high-energy blend of outstanding showmanship, great stage presence, surprising versatility, exciting audience participation, live animals, flashy costumes and a host of grand illusions all accompanied by powerful pre-recorded show music as Ted Schwank takes his audience on an magical journey of wonder, mystery, drama, danger & adventure! With his captivating & appealing personality, magician, juggler, and comic entertainer; Ted Schwank continues to be a guaranteed crowd-pleaser year after year for the entire family – truly a seasoned, polished performer with a proven track record for excellence! 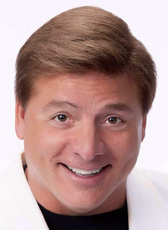 As one of the most favorite family/children’s entertainers in the Greater Houston Area, Ted Schwank has helped thousands of clients create successful, energetic events that are Fun…Alive…Exciting! 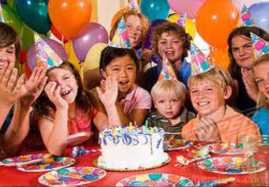 party is like having a Royal Flush - Simply The Best!"